CLICK HERE FOR LIVE TIMING FOR SATURDAY'S RACES! || Click Here for Unofficial Results Updated After Every Race! For the first regional race of the 2019 race season we're switching it up and heading to Rancho Cordova, CA to Prarie City SVRA right out of the gate: March 22nd and 23rd! This will not only be the first regional race of the season, but also the first race of the 3-part Lasernut Western Series! 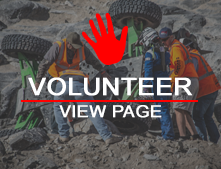 The MetalCloak Stampede Qualifying Results are HERE! This will be a transponder race. Cost for transponders will be $30 a transponder on site. If you own your own, please make sure it is charged and activated before showing up to race! The course will consist of a 2-mile lap. The entire course is visible to spectators and filled with rock obstacles, tight turns and go-fast sections. There will be a hot pit available near the track during the race. Teams do not pit in their camping locations at Stampede. There is dry camping available after 12PM on Thursday for race teams and spectators. Pit camping will be free for teams. If additional camping space is needed outside of pit for additional RVs, haulers, there will be a charge per camped vehicle. Spectator Camping and additional team camping will be $25 a vehicle for the weekend, as space is limited at the Prairie City SVRA facility. If you prefer to stay in a hotel, we recommend the Hampton Inn in Folsom, California. This is one of the closest hotel accomidations to Prairie City. Once again, Renegade Race Fuel will be available for delivery to you and your team at the MetalCloak Stampede at Prairie City. Over 30 different fuel options in two different types of containers are available. Check out the options at renegaderacefuel.com and contact Jody Morris to order your fuel by March 4th for guaranteed delivery! Do You Have Friends and Family Who Want to Experience the MetalCloak Stampede Like Never Before? Have them Join us for the GenRight Vision X Experience Presented by Mickey Thompson! Experience the race like never before. The Genright/Vision X Stampede Experience, presented by Mickey Thompson, gets you as close to the action as you can be without strapping into a race car! More details and sign-up HERE! Register online prior to the event to avoid an upcharge for on-site registration. Trackers will be used at this race and will cost $30 per tracker. Payment for Trackers will be collected on-site. If you have your own tracker, please be sure it is charged and activated prior to showing up at the track. This is an incredibly spectator- friendly event. Fans bring EZ-Ups, camp chairs, and make a day of it at Prairie City. It’s a great day of racing and a chance to see the drivers and teams from King of the Hammers up close and personal. There are food vendors and some grand stand type seating available. Most of the race course can be seen from one location. Cost to attend is $30 for the weekend and $20/day. Kids 12 and under are free. There is dry camping available. The cost is $25 per camped vehicle. Parking on Saturday is $5 per vehicle. Tickets available at the gate! Want to Experience the MetalCloak Stampede Like Never Before? Join us for the GenRight Vision X Experience Presented by Mickey Thompson! We're excited to be returning to Prairie City SVA for 2019!